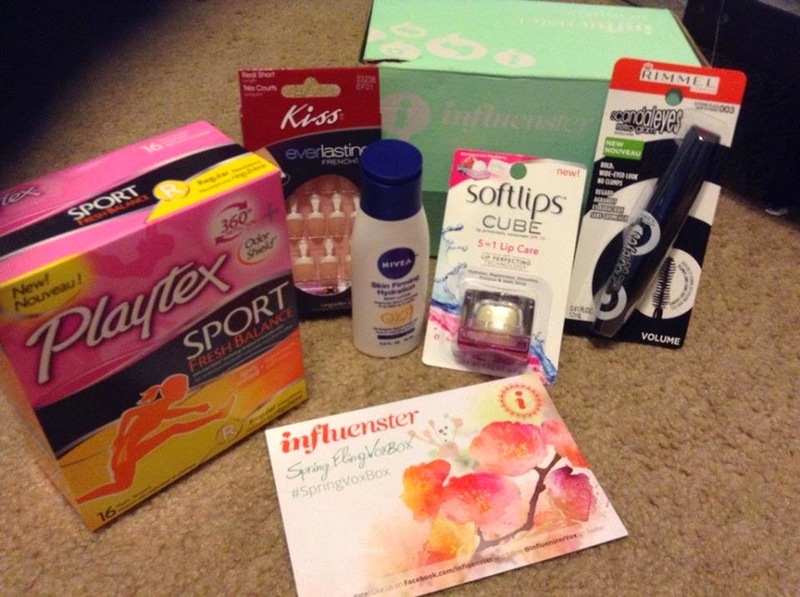 I am member on VoxBox Insfluenster. the Insfluenster is a community tastemakers, social media that educated consumers who give opinions of products and review the product they are great programs people with specific interests If your a member you have to make sure Unlock 5 Expert Badges answer question as you can raising score, and make it update as soon as you can for me I answer question as well as I also doing survey I am glad I have rewards from them after spending time. Who would love to receive box filled with glam products and I am lucky to receive this. The weather is very warm here this is perfect for me I need a lotion for my dry skin, I also use the mascara for my eyelashes make it look pretty, French Manicure is one of my favorite also I do my nails once a week or every other week its really good for nails Anyone would love this product because it's really great awesome. I spend a lot of time online I know its not easy after all the hard work I have receive product for free on my honest opinion the box full of amazing products to test including Eye Mascara, French Manicure Nails, Car Freshener, Nivea Lotion, Playtex and Lip Care. I would like to thank Influenster for giving me the opportunity to test these wonderful products.